It was barely 8am when my thoughts, naturally enough, turned to dinner. Truth be told, cycle touring is not really about cycling. It’s about eating. Fish and chips. That’s what I needed. Proper fish and chips. 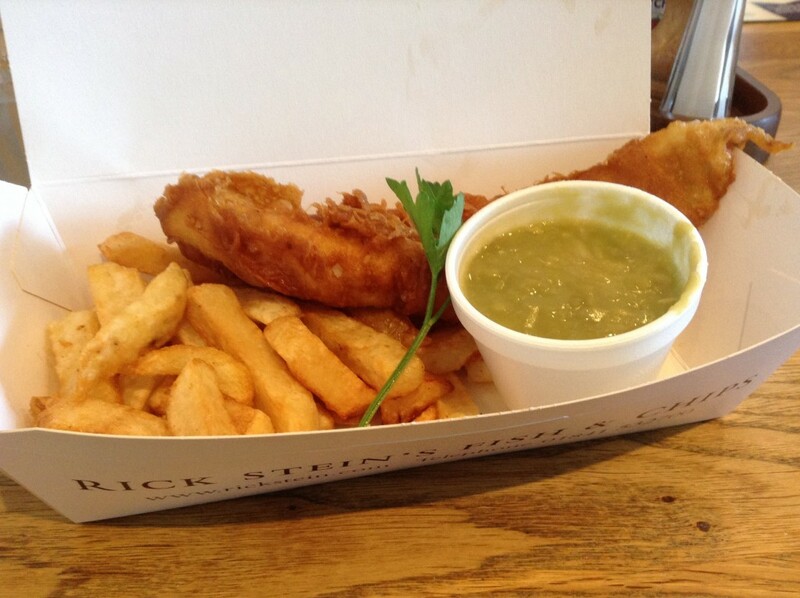 Which are only proper fish and chips if they come with mushy peas on the side and the screeches of seagulls overhead. 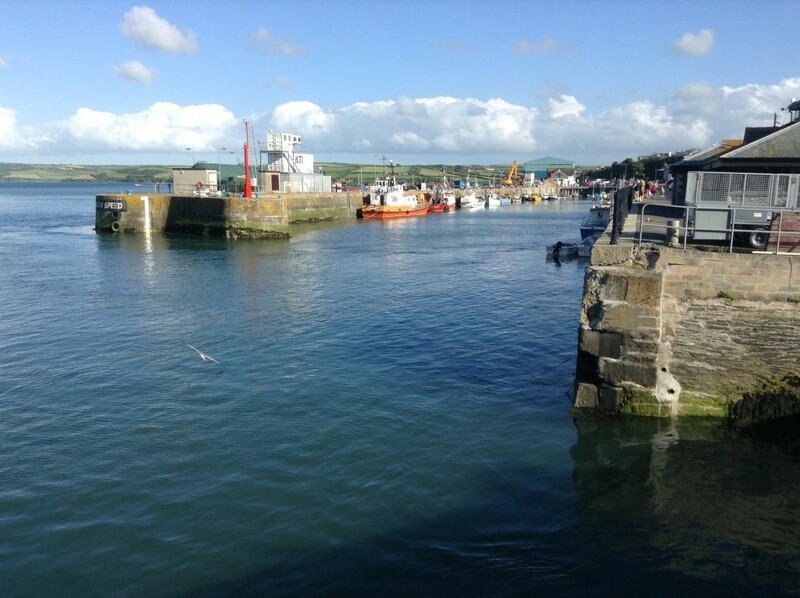 Our destination for the day was Padstow, home to a school of Rick Stein eateries and renowned for fresh fish and good chips. It was worth cycling to. The day started under dark grey clouds and proper English rain. Within three minutes of the skies opening, my about-to-be-packed tent was completely sodden. Thankfully though the wind was blowing in the right direction and it gently blew us up over the hills, along the coast, and further in land. By 10am the day was getting progressively sunnier. 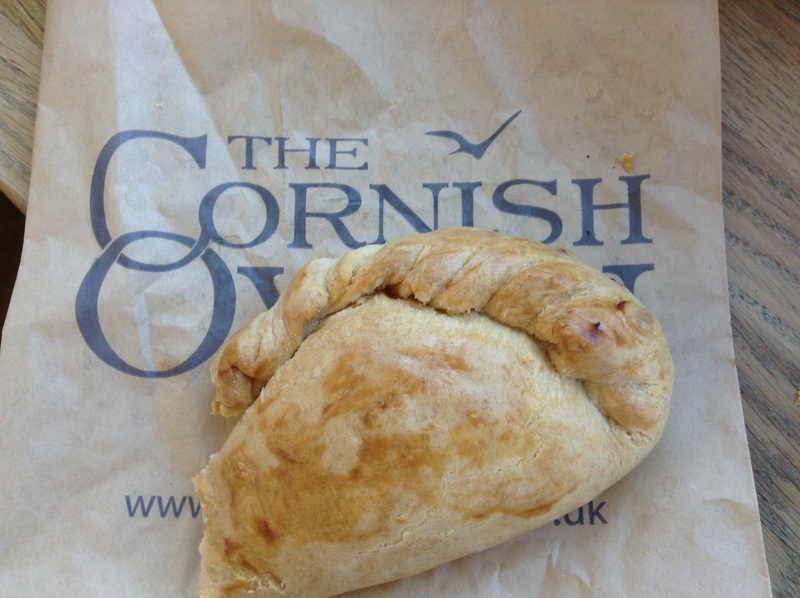 We’d covered a good 25 miles so stopped for an essential pit stop to grab a Cornish pasty. Now there is a good bit of food. Originally concocted to be eaten by Cornish tin miners, the pasty makes a fine snack for a hungry cycle tourer who, without threat or danger of arsenic poisoning, can eat the crimped pastry as well as the rest of the pasty. As we moved further inland the hills became sharper and we searched for yet another gear to help us up the inclines. We were rewarded with the views: sparking sea and white surf dashing on the rock, wildflowers bobbing in the breeze and butterflies fluttering out of the hedgerows and into the sunshine. At lunch we met a man who asked us where we were going. He waited just long enough to pretend he was interested in the answer before mentioning he’d done Lands End to John O’Groats himself three years ago. He inspected us, our bikes and kit while demolishing a chocolate feast ice cream. That’s encouraging, yes. But am I really to believe that there is no so much as a bump between the West Country and Scotland? I think not. We made good progress in the afternoon. By good I mean we arrived at Padstow in sufficient time to demolish a whole punnet of strawberries at the campsite before joining the queue outside Rick Stein’s takeaway for dinner as soon as it opened. It was worth it: salty chips, generous helping of fish and very, very mushy snot-green peas. Holiday makers mingled by the bandstand, licking ice cream cones and stroking their dogs. The busker picked out classics on his guitar. After a final hunt for snacks we watched as the ferry boat to Rock, done ferrying for the day, pulled into rest in the harbour. And then headed back to the campsite rest ourselves.